The first test John gives as to whether or not one has fellowship with God is keeping His commandments. If we have come to know Him John says we will keep His commandments. Now the question is, what are the commandments of God? A few verses down in I John 2:7 John writes, “Beloved, I am not writing a new commandment to you, but an old commandment which you have had from the beginning; the old commandment is the word which you have heard.” John said this is a commandment you have had from the beginning. In the first verse of I John the apostle writes, “What was from the beginning, what we have heard, what we have seen with our eyes, what we have looked at and touched with our hands, concerning the Word of Life.” Jesus is the one from the beginning. Then John writes in I John 1:8, “On the other hand, I am writing a new commandment to you, which is true in Him and in you, because the darkness is passing away and the true Light is already shining.” In other words, this commandment is new since it can only be kept through fellowship with the one from the beginning-Jesus. Jesus was asked in Matthew 22:36 what was the greatest commandment. He responded in the next two verses saying, “You shall love the Lord your God with all your heart, and with all your soul, and with all your mind.’ This is the great and foremost commandment. The second is like it, ‘You shall love your neighbor as yourself.” Jesus then concluded this statement in verse 40 saying, “On these two commandments depend the whole Law and the Prophets.” According to Jesus, the whole of the Word of God rests upon loving God with all of who we are and loving your neighbor as yourself. According to John, the true test of whether or not we have come to know God is whether or not we are keeping His commandments; loving God and loving our neighbor. Remember, keeping God’s commandments isn’t a means to salvation, it is proof or evidence of salvation. Faith in Jesus is the only means. 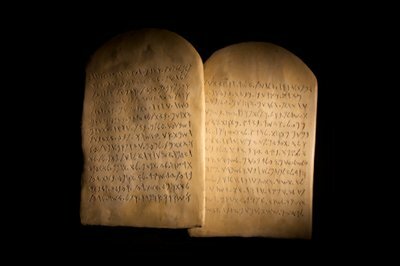 If keeping God’s commandments is then a result of salvation it should be something that comes natural. Yes, we work and strive towards it by disciplining ourselves unto Godliness but we have been given by God the ability to live it. If one doesn’t have fellowship with God he does not have the ability to live it. In the same way I can strive to be the greatest quarterback the world has ever seen and work at it every day of my life. Unfortunately, I was not born with natural athletic abilities, therefore, that will never happen. Those who do have the natural abilities continue to discipline themselves to strengthen their abilities God has given. Jesus made an interesting statement in John 14:21 when He said, “He who has My commandments and keeps them is the one who loves Me; and he who loves Me will be loved by My Father, and I will love him and will disclose Myself to him.” Jesus said, “He who has My commandments.” The one who is in fellowship with God has the commandments of God. How? God has written them on their heart. The prophet Jeremiah prophesied of a new covenant saying, “But this is the covenant which I will make with the house of Israel after those days,” declares the LORD, “I will put My law within them and on their heart I will write it; and I will be their God, and they shall be My people.” Paul wrote in II Corinthians 3:3, “being manifested that you are a letter of Christ, cared for by us, written not with ink but with the Spirit of the living God, not on tablets of stone but on tablets of human hearts.” If we have true fellowship with God, the Spirit of God has written His commandments on our heart. Jesus also said in John 14:21 that He will disclose, or reveal, Himself, to the one who has His commandments. If we know God we will keep the commandments that have been written on our heart. Not as a means of religiosity trying to appease God with lists of do’s and don’ts, or rights and wrongs, but because we love Him. Apart from God’s grace we can never appease Him. As Christians we have freely received God’s grace. As Christians, we know that the grace God freely gave us came at a great cost to Him. Since we know our sin was paid for at a great cost to the one who loved us first we willingly and lovingly live in obedience to Him allowing His commandments to be the navigator of our lives empowered by the Spirit of God within us. Those who don’t love God have no problem trampling on His grace while those who truly love the Lord find trampling on His grace shameful and appalling and will therefore keep His commandments.